Endovascular WA is the brainchild of leading Interventional Radiologist, Dr Sanjay Nadkarni MBBS, FRANZCR, FRCR, MRCP, FCP, DA. Dr Nadkarni’s vision is to provide Western Australia with a comprehensive, minimally invasive vascular and interventional radiology service. 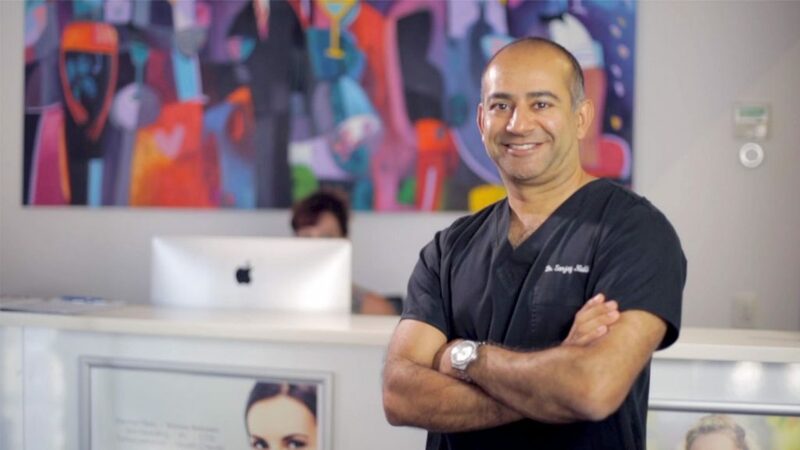 Dr Nadkarni has enjoyed a distinguished career since graduating from University of Western Australia in 1991. Dr Nadkarni then went on to complete two years of residency at Royal Perth Hospital. He then spent the next five years in the UK completing his post graduate qualifications. Dr Nadkarni returned to Australia for one year to complete his Fellow of the Australian and New Zealand College of Radiologists (FRANZCR). The year was spent in Brisbane at the Princess Alexandra Hospital completing a Fellowship in Cross Sectional Imaging (Ultrasound, CT and MRI). Dr Nadkarni is passionate about providing quality patient care, specialising in minimally-invasive and cutting edge endovascular service. To pursue further training in Vascular and Interventional Radiology, Dr Nadkarni retuned to the UK, working at the Sheffield Vascular Institute with world-renowned vascular radiologists Dr Peter Gaines and Dr Trevor Cleveland. On completion of this training, Dr Nadkarni returned to his beloved Perth and was employed as a full time Vascular and Interventional Radiologist (VIR) at Sir Charles Gairdner Hospital in Perth. During these years he performed several arterial and venous angiograms and angioplasties and was involved in a world renowned programme in the endovascular management of Abdominal Aortic Aneurysms using stent grafts. Dr Sanjay Nadkarni has recently been made a fellow of the College of Phlebology (FCP). Dr Nadkarni continues to provide a weekly vascular and interventional Radiology service at SCGH and is now established in private practice, VIRC trading as Endovascular WA. Although not restricted to, Dr Nadkarni’s main areas of specialty include the minimally-invasive endovascular management of varicose veins and peripheral arterial disease. The comprehensive minimally invasive management of varicose veins using EVLA (Endovenous Laser Ablation), Ambulatory Phlebectomy (AP) and Ultrasound Guided Foam Sclerotherapy (UGFS). Having performed over 2000 cases, he is an invited speaker at various national and international meetings on the subject. Endovascular management of visceral (renal and mesenteric) and peripheral arterial disease using angioplasty, stenting and atherectomy as a day case or an overnight stay procedure. Venous access procedures including Infusaports, PICC lines, Dialysis access (Hickman lines) and endovascular fistula management. Management of varicoceles and ovarian vein incompetence using gonadal vein embolisation done as a day case. Management of uterine fibroids using uterine artery embolisation. Acute back pain management using CT guided Epidural, Nerve root sleeve and facet joint injections. Acute Musculoskeletal pain management using Ultrasound and CT guided bursa and joint injections. Dr Nadkarni is an invited speaker at various organisations like IRSA,College of Phlebology,RANZCR and numerous national vascular symposiums including scientific posters and presentations at SIR,CIRCE and RCS-VASCULAR since 2002. Dr Nadkarni is an avid lover of competitive cricket. See more about talks and presentations from Dr Nadkarni.